Really falling in love with the Tiger! But must fit those grips - couldn't feel my fingers by the end! Took a Speedmaster out for a little 100 mile jaunt while my Tiger was having its 6k service yesterday. 5 degrees and rain with no heated grips or any kind of weather protection. Fingers, long gone. Even my internal organs were shivering. Changed filter and oil, washed, polished and stored it inside for the winter. Removed satnav & wiring ready for trade in for new XrT. Honda 90 c200, Norton Dominator 99, Triumph (Saint) T110, Triumph 750 T140 ES, Triumph Bantam Cub, Triumph Tiger Cub, BSA 650 Golden Flash, Honda CBF 1000, Triumph Sprint GT, Tiger 800 XrX low. 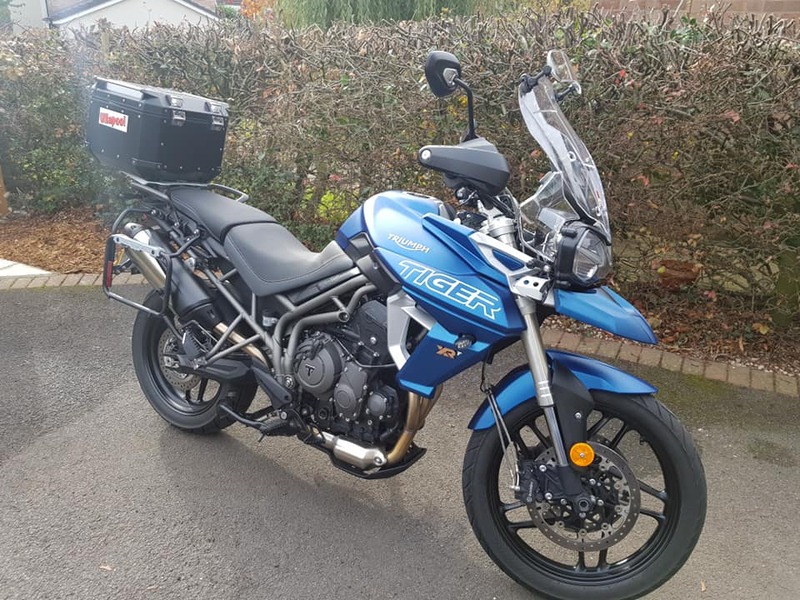 2018 Tiger 800 XRT. Mine came with the bike, black and blue tiger with a alu can.... missmatch. Just fitted Nomada panniers to my bike. Thanks to Rtwo who gave me the confidence to pay a lot of money up front to a firm in Poland. They came in under a week and are perfect. Lightweight and are more narrow than wing mirror span. Very happy. Ready for big Germany tour next year. 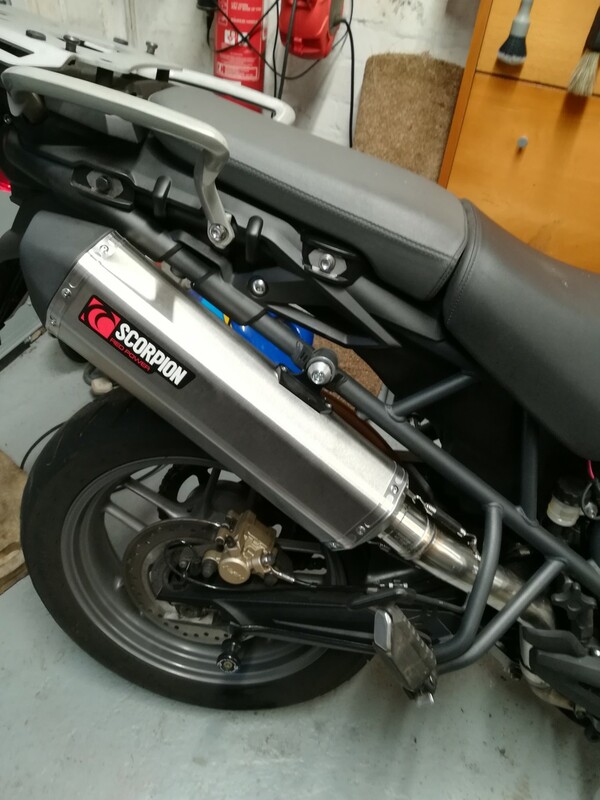 well it was actually last Saturday, just hadn't got round to posting but FINALLY got my "beak" fitted by Pidcocks 7 months after buying the bike. I have to say it has been a trial and required me to do all the chasing but at least it's ready for next season! Sorry but I can’t seam to create an account to let me post pictures. Will try later after work. NeoHurricane, the beak finishes off the bike beautifully.